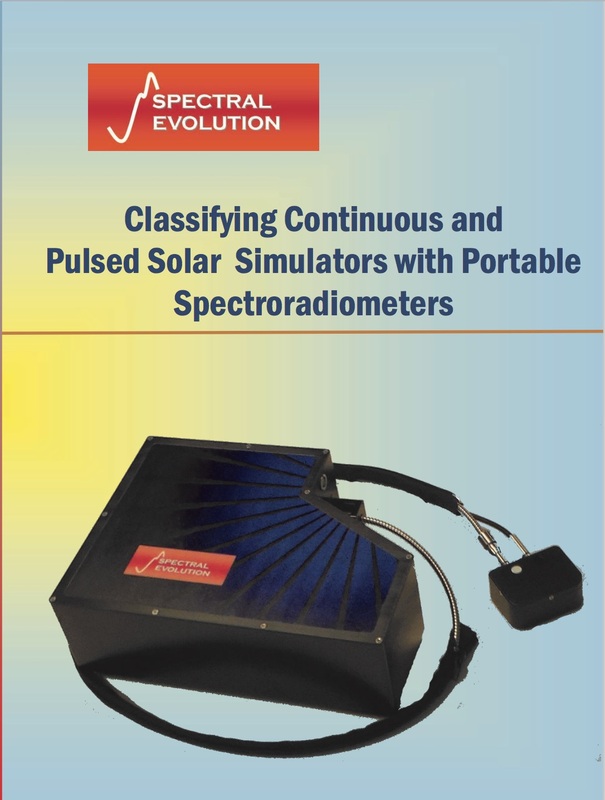 Spectral Evolution provides accurate, affordable spectroradiometers for testing, measuring, and classifying continuous solar simulators. 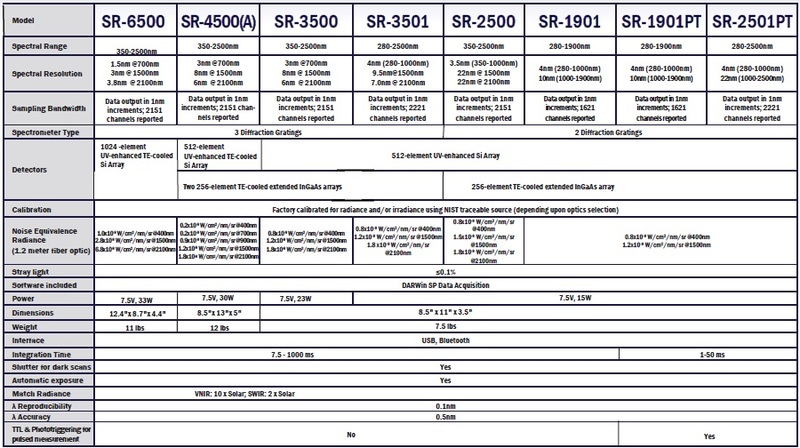 Rapid and accurate measurement of electrical power output and related characteristics of PV cells, modules, and panels is critical to solar manufacturers to ensure that their products will perform to promised levels during their outdoor life. Solar simulators are used to test the cells, modules, and panels under a set of standardized conditions. The solar simulators mimic the natural sunlight that the panels will see when installed. The solar simulators themselves are tested to be sure they meet ASTM and IEC standards for three areas: spectral match, spatial uniformity, and temporal stability. 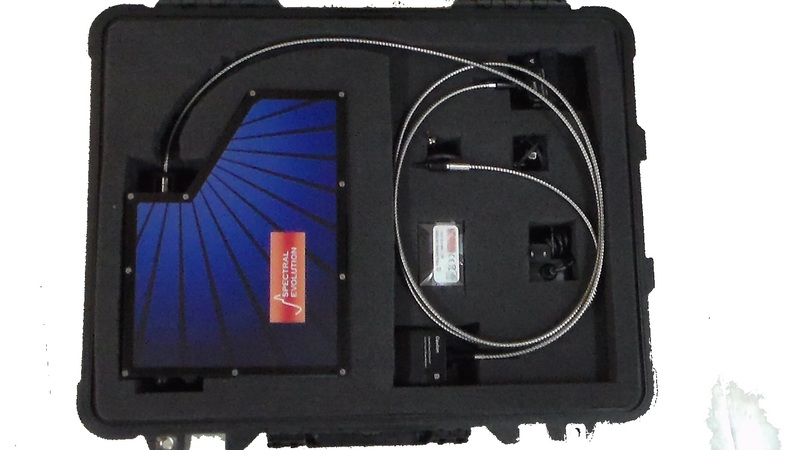 Spectral match classifies a solar simulator based on the amount of light (irradiance) it outputs and assigns a Class A, B, or C status based on performance measurements in wavelengths from 400-1100nm. Uniformity measures the irradiance at different point in the area covered by the simulator. Consistent output must be measured at different points. Temporal stability measures performance over time.